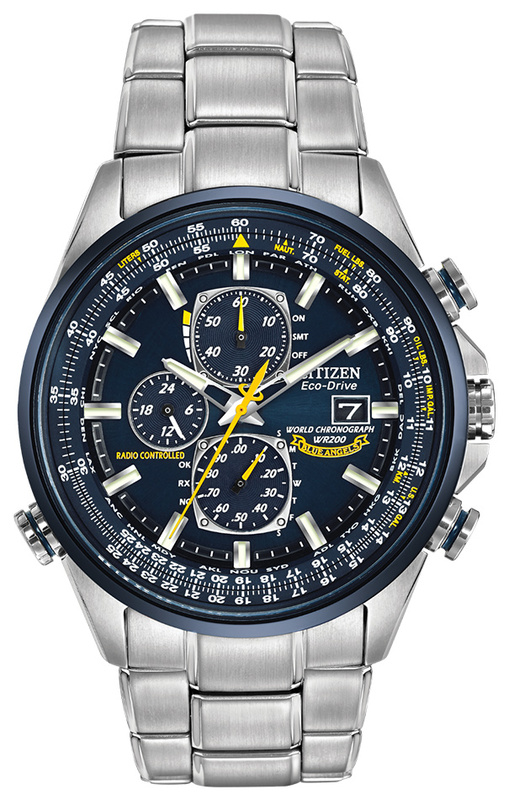 This Citizen Blue Angels Eco-Drive AT80200-54L watch features a Radio-Controlled World Timer and never needs a battery. 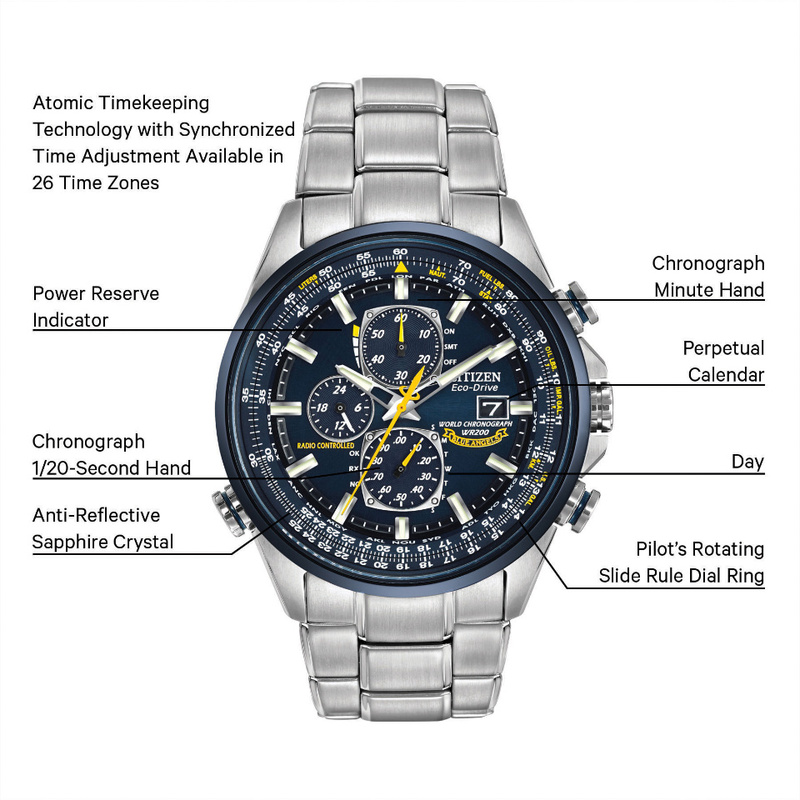 The Eco-Drive technology converts and source of light in useable energy; the energy is then stored in a special power reserve to keep your watched charged. Offering 1/20 second chrono up to 69 minutes, that has automatic time in 26 world cities and radio controlled accuracy in 5 zones. A perpetual calendar and 12/24 hour time display keep you on-track, while the non-reflective sapphire crystal makes it easy to read. The watch also features Stainless Steel case and band for a contemporary look. 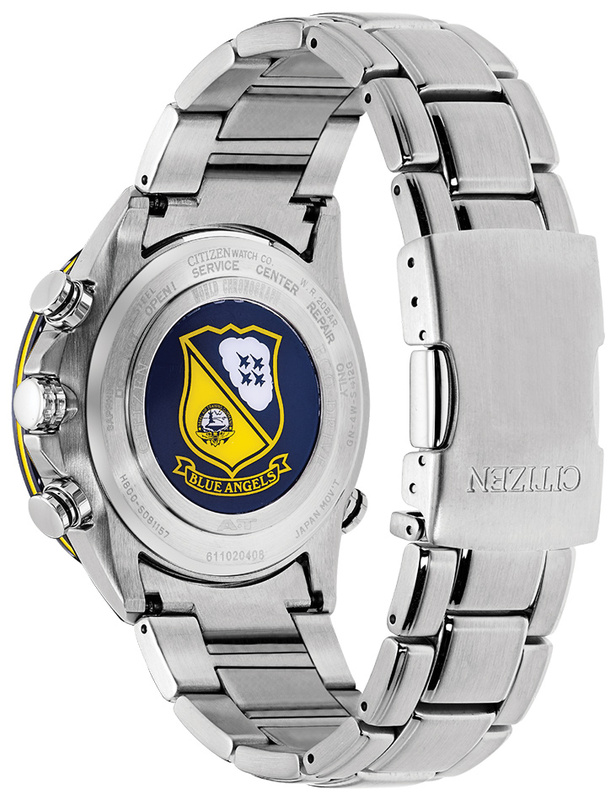 Water resistant to 200 feet, this watch comes with a 5 year warranty. Best watch I have ever owned! By far! Pros: Date and Time are always set accurately; automatically. Review: I have owned this watch for over a year now and can't be happier with it. I have owned many other watches, some much more expensive, and would put this one far above all the rest. I never have to wind it, the date sets automatically at the first of each month and the time is always spot on accurate to the second. After that, the other features are just gravy.